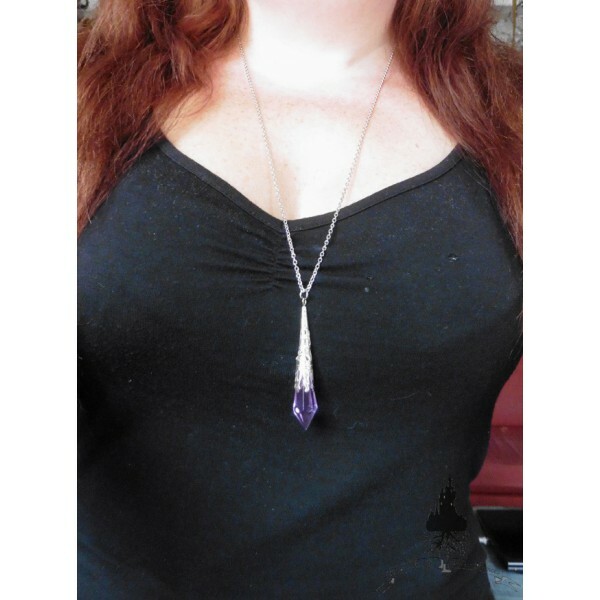 Long necklace with purple glass Crystal pendulum, inspired by the painting The Violet's Message from the Pre-Raphaelite painter John Everett Millais. 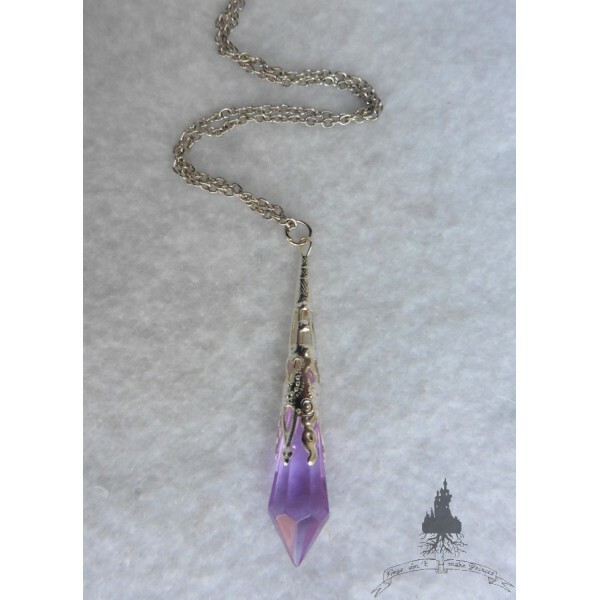 Long necklace with silver color metal chain and filigree finish primer. 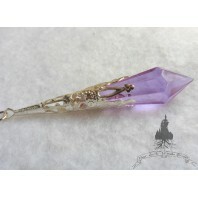 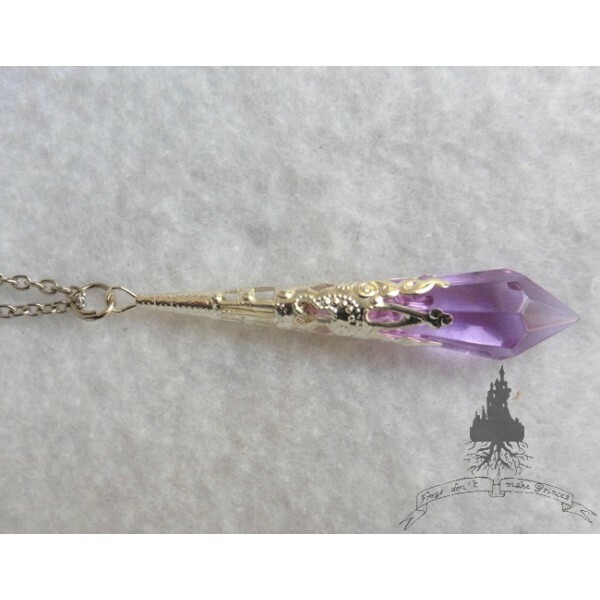 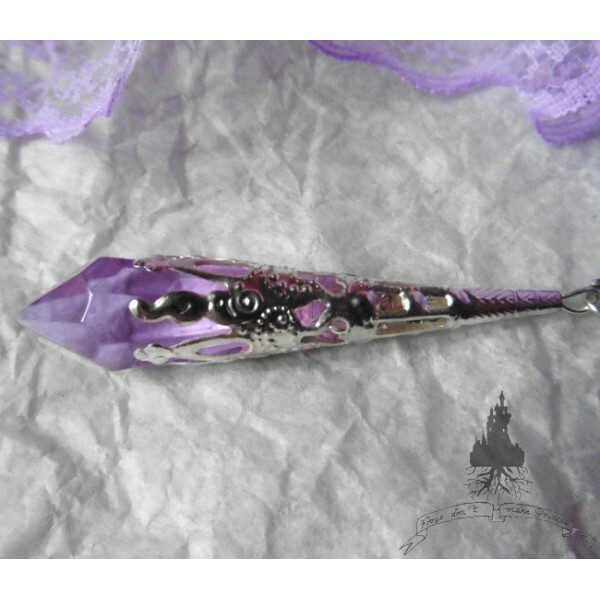 Light purple GLASS crystal prism pendulum. 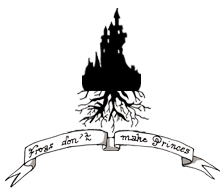 On the back, primer is discarded and a large metal ring than support is very exceeding. 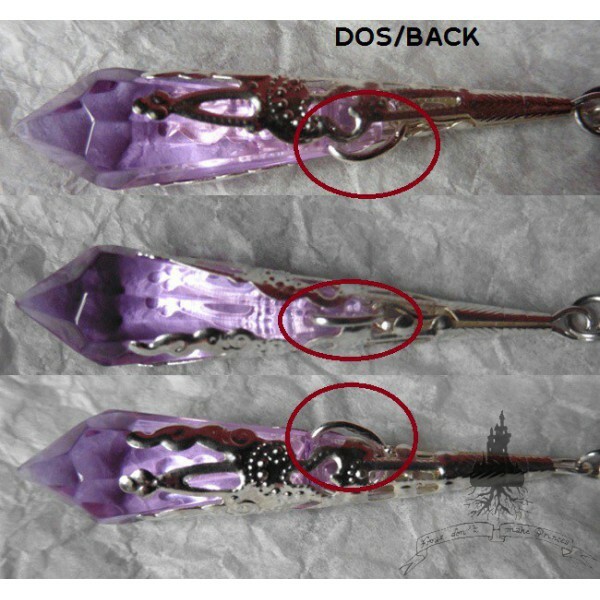 Each glass is different and may have colors, rough edges, bubbles and flaws of its own.